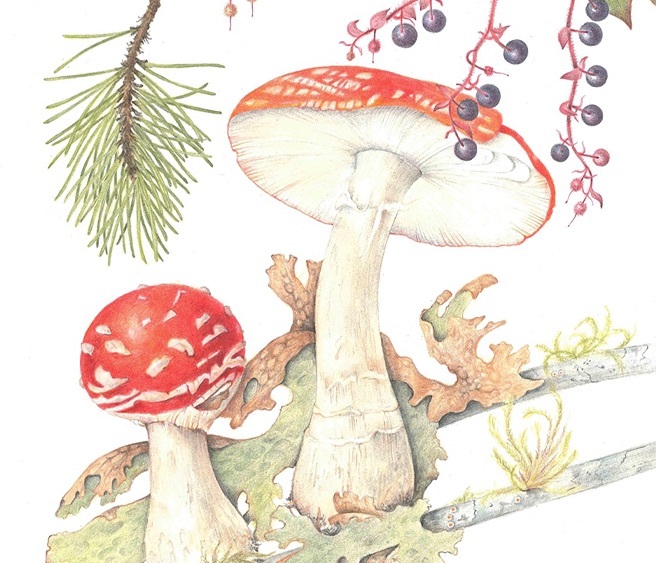 Create beautiful portraits of various woodland collections of the coastal habitat: flowers, leaves, seed pods, cones, branches, bark or fungi. Explore a realistic style using colored pencils and other supporting media. We will use traditional white background and walnut ink stained background (which mimics old manuscripts). We will begin with loose sketching from observation, explore various colored pencils techniques (embossing, underpainting, layering), experiment with creating textures, and discuss how to approach a composition. By the end of the workshop students will complete one or more dynamic and evocative portraits of forest fragments.